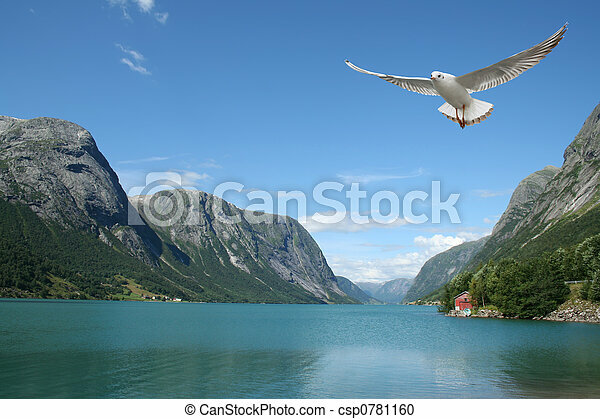 Flying seagull and norwegian fjords. 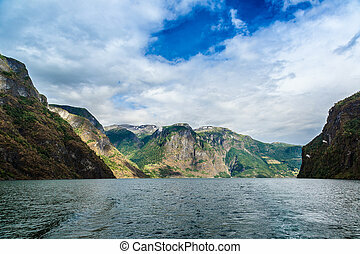 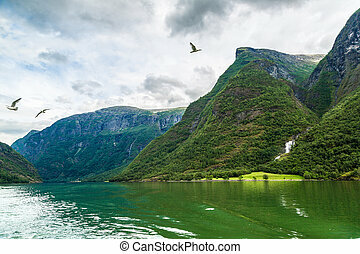 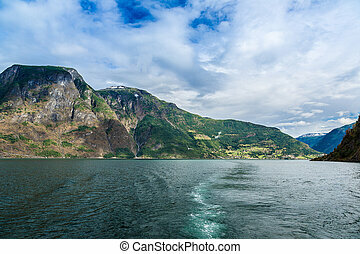 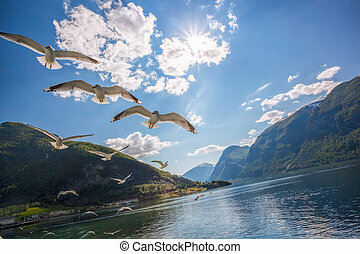 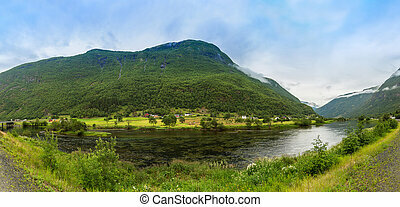 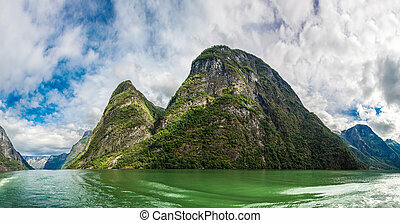 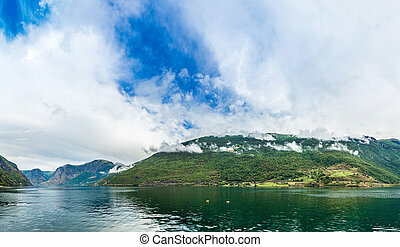 A seagull flying over the sea - beautiful landscape from norwegian fjords. 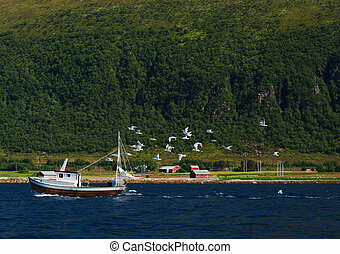 Segulls are chasing a small fisherboat in a norwegian fjord.